My father used to play chess with an uncle. I used to watch them when I was three or four. It was fascinating. I could create, instantly. I didn't have to learn a lot of details and facts and formulas. I could start moving pieces and geometric beauties began to multiply on the board and I loved beating people, especially older people and when you're five, most people are older. ... in the 1930's when we were young, it was drummed into our heads that nobody made a living from chess, and in those days nobody did. Lasker died penniless, Steinitz died penniless. These are the world champions. It was not a happy time. And the second level grandmasters starved to death. And I wasn't even in that category. So I was taught and accepted the idea that I had to do something for a living, apart from chess. He graduated with a B.Sc. from the University of Manitoba in 1946 and continued to study for his Master's Degree in algebra at the University of Chicago at Illinois. Clearly Chicago was an excellent place to undertake research in algebra. Adrian Albert was Acting Chairman of the Mathematics Department in the summer of 1946 before Marshall Stone came from Harvard to take on the role of Chairman. Saunders Mac Lane and André Weil were appointed to Chicago in 1947 joining Adrian Albert, Irving Kaplansky and Otto Schilling who were already on the staff. Divinsky won the Manitoba Chess Championship in 1946 and was awarded an M.S. from Chicago in 1947 after submitting a thesis Burnside's problem. He continued to study at Chicago for his doctorate advised by A A Albert who had returned from South America where he had spent most of the year 1947. Albert, like Divinsky, had Russian parents, and was one of the leading experts on algebras. 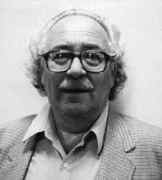 It is not surprising, therefore, that Divinsky would write a thesis on algebras: he submitted his thesis Power-Associativity and Crossed Extension Algebras to the University of Chicago and was awarded his Ph.D. in 1950. He was awarded a post-doctoral scholarship by the Royal Society of Canada to study mathematics at Queen Mary College, University of London. He would make many visits to the UK during his career. He had been appointed to the University of British Columbia in 1949 and remained on the Faculty there for the rest of his career. However, he continued to take part in chess championships: he was fifth equal in the 1951 Closed Canadian Chess Championship and won the Manitoba Chess Championship in 1952. By this time he had married his first wife; they had three daughters, Pamela, Judy, and Miriam. In 1959 Divinsky took over the magazine Canadian Chess Chat. He became the editor, a task he continued to undertake until 1972 when the magazine hit problems due to the printing plant being closed. The book is very readable, and is well suited for beginners in the theory of rings; it will also be of interest to research workers in the field. Professor Divinsky's book, which is written for first year graduate students, aims to give the reader some of the general theory of radicals and a lot of particular radical theory. On the whole the sections devoted to the discussion of particular radical classes are successful, those devoted to the general theory rather unsuccessful. Nathan Divinsky was a professor of mathematics at UCB, and I first met him at the Frosh retreat in 1964. He participated in the programme and was well liked by the students for his sense of humour. Campbell started dating Divinsky, who is often described as displaying avuncular charm, in 1967. He introduced her to a life of dinner parties and the politics of upper-middle class Vancouver society at a time when the campus she was studying on was in the throes of left-wing student movements and anti-Viet Nam war demonstrations. ... Divinsky ... loved to entertain in a grand manner. Even his friends describe him as outrageously right-wing, and he delighted in defending Britain's rigid class system and flaunting his political views. One friend, Fritz Bowers, says of Divinsky, "Tuzie's very reactionary and elitist. He thinks the important thing is to look after the interests of the intelligentsia, the people who lead society." I tried to get more programs for gifted children. When I became chairman, we did in fact introduce programs. Administrators and teachers seem to think that democracy is such a wonderful thing that it should be introduced everywhere. In education, democracy is irrelevant. Although people should be given equal opportunity, they are not equal in abilities. To teach a midget to play basketball, is not in the best interest of society. If they want to do that, let them do that but to finance it and to spend the limited energy you have on some idiot Divinsky to get into grade 7 instead of quitting at grade 6 instead of doing something for a kid who has enormous talent and can contribute something to the world ... a lot of these kids suffer in school - they're bored! Teachers often resent them. ... The old adage that bright kids always land on their feet is nonsense. I have seen so many bright kids ruin their lives and collapse for factors beyond their control. You can't even the playing field. If I'm tone deaf, you can't teach me music! Campbell studied for a doctorate at the London School of Economics in 1972-73 and Divinsky spent a sabbatical year with her in London. They were married in the Hampstead Registry Office on 15 September 1972. They spent the year in London with two of Divisky's daughters from his first marriage, namely Pamela, thirteen years old at that time, and Mimi who was nineteen. After returning to Canada in 1973, Divinsky then spent a year in Oregon. In 1975 he was back at the University of British Columbia and, in that year, published two books; Linear Algebra was an undergraduate mathematics textbook while Around the Chess World in 80 Years was his first book on chess. In 1979, in partnership with three others, Divinsky began the reconstruction of the Arrow Transfer warehouse on Granville Island, Vancouver, as the Bridges Restaurant. The restaurant opened in 1980 as a top Vancouver attraction. In that same year Divinsky left the Vancouver School Board, which he had served on since 1974 having chairman from 1978 to 1980. The reason he left was so that he could run for the Vancouver City Council. He was elected in 1981, his wife Kim Campbell being elected to fill the position left vacant on the Vancouver School Board by his resignation. Divinsky and his wife were divorced in 1983 but Kim Campbell went on the have a highly successful political career becoming the first woman prime minister of Canada in 1993. This book sets out to offer an objective assessment of the 64 strongest chess players in history, based on statistical analyses of their performances. The book is based on a sophisticated computer analysis undertaken at the University of British Columbia. You use a lot of differential equations and what is called the maximum likelihood function. We have a professor who wrote several research papers in connection with Warriors of the Mind ... this is hot stuff. Divinsky made such an impact on the specialist chess show that "I love Divinsky" badges swiftly proliferated among the thousands of fans thronging the venue, the Park Lane Hotel, and Terry Wogan twice invited him to pontificate on chess on his prime-time TV show. It was the most television exposure that chess had ever received in the UK. He first became Canada's representative to the World Chess Federation in 1987, acted again in this post in the mid-2000s, was president of the Canadian Chess Federation as well as the first member of the Canadian Chess Hall of Fame. A beautifully produced large size book which will be a joy for those interested in chess facts and figures. However, chess historian Edward Winter in a review of The Batsford Chess Encyclopedia called it "A Catastrophic Encyclopedia". Divinsky lived his life with great passion and conviction. He was proud of his Jewish heritage and was a "life master" in all aspects of his existence: as a mathematics professor at UCB, a bridge and chess master, elected official on Vancouver City Council, host of mathematics quizzes on the Discovery Channel, and as a pianist. He also hosted Gilbert and Sullivan operettas, performed with his friends and family, and played the part of a chess Grandmaster in the 1992 film 'Knight Moves'. Let us end with a personal memory by EFR. In the early 1980s, Divinsky visited the University of St Andrews, Scotland, and addressed our Pure Mathematics Seminar. I, and my colleague Colin Campbell, entertained Divinsky taking him for a meal to the Grange Inn, a nice restaurant with spectacular views over St Andrews and the bay. It was a memorable event and one which I vividly remember thirty years later. The conversation was mostly about chess - at that time Bobby Fischer, who had been World Chess Champion but had then refused to play the challenger, was living is seclusion. Divinsky, however, seemed to have frequent contact with Fischer and described his mental state in detail. What I did not know at the time was that Divinsky was a restaurant owner and extremely knowledgeable about food. He had a half melon as a starter and complained bitterly that it was the smallest melon he had ever seen. It was a memorable, but somewhat embarrassing, occasion for me. Finally, let us record that Divinsky married for a third time; he was survived by his wife Marilyn Goldstone.